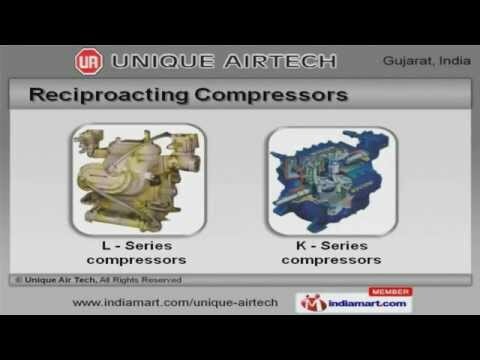 Welcome to Unique Airtech, Supplier of Industrial Spare Parts and Refrigeration Equipments. The company was incorporated in 2004 at Vadodara. We are an Authorized distributor of Mycom, Super, Dhiren and Manik. Quality inspected products; Easy transaction modes and Client centric approach are some of the key factors behind our success. We offer a splendid range of Reciproacting Compressors, Ammonia Valves and Fittings. Our Reciproacting Compressors are reckoned all over the world for their superb quality. Refrigeration Equipments offered by us are extremely reliable. We are instrumental in offering a high quality range of Compressor Spares and Screw Compressors that are cost effective. Ammonia Valves and Fittings are reckoned all over the world for their superb quality. Cold Room and Ice Plant Equipments are well known for their impeccable performance. To Get The Best Deal In The Vertical, Log On At http://www. indiamart.